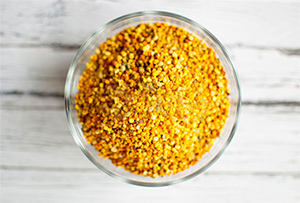 Home / Honey's benefits / Pollen – Fiber Source! The pollen is collected by the bees in the flowers, and it is without a doubt, one of the most natural, fiber-rich foods we have nowadays. It is traditionally known as a true functional regulator. The pollen is a very fine matter stored by the plant in what is called “Lodges Anteras”. This is an asset of the hive, essential to the bees. In fact, it is considered the “bread of bees” and their main food before honey. Contains many vitamins, such as vitamins A, B, C, D and E.
Nowadays it is possible to enjoy all the benefits of pollen in different ways. 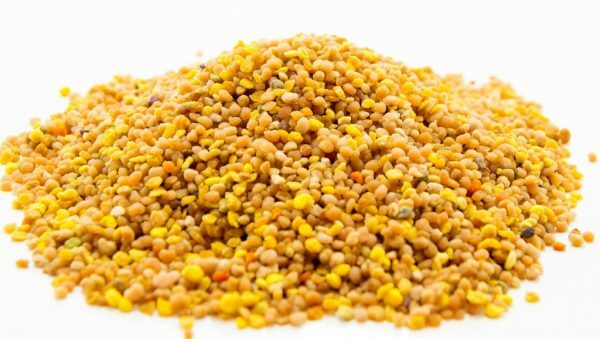 To enjoy the benefits of pollen, you must consume about 15gr in a daily basis, for 4 weeks, preferably in the morning. It can be mixed in orange juice, yogurt, even in the honey and on toasts, or even “raw”. Bees collect on average, between 20-30 kg of pollen per year, although the beekeeper can collect 10% to not harm the welfare of the hive. Cause a positive effect on humour and it is even considered an euphoric! Now you have no reason to not feel even healthier and well-disposed! Introduce pollen into your feeding and feel invigorated!